FEBRUARY 28, 2017 marked the much-anticipated State Comptroller report re Israel’s 2014 summer-long war with Hamas (and assorted PA terror groups), one which blanketed the entire country under a missile blitzkrieg. Imagine that. How could this have happened under the “watchful” eyes of Israel’s “all-seeing” and powerful security forces? MOREOVER, its tepid name, “Operation Protective Edge”, was carefully chosen, and it was not for nothing. Simply put, the goal was NOT to vanquish the enemy, but to “protect” the southern perimeter from both a recent escalation and a continuous rocket/missile barrage (over the past decade) which was no longer “tolerable.” Hmm. Intrinsically, it was a follow-on war from “Operation Pillar of Defense” fought in 2012, and so on and so forth. Understood? ALONG this Orwellian trajectory, the State Comptroller‘s mandate is to oversee and inspect the executive branch of the nation’s governing body. Elected by the Knesset, Israel’s legislative branch, its sworn duty is to remain unbiased and untainted; separate and apart from the PM and his cabinet. Arm’s length. Not only that, its responsibilities are laid out under Israel’s Basic Law(s). SO it is under the above overriding paradigm that one must evaluate reports from the State Comptroller’s operational findings, most especially vis-à-vis (unfinished) military operations. IN this regard, it is instructive to wend back to the 2006 Second Lebanon War to determine whether Israel’s resident blowhards, 8 years later, learned their requisite lessons. Know this: whether in the north or south, the basic lessons are more than parallel. To wit, there is no better teaching tool than The Winograd Report. WHICH brings us back to the here and now. Two years of soul-searching and months of high-stakes political battles will reach a climax on Tuesday as State Comptroller Joseph Shapira publishes his landmark report on conduct during the 2014 Gaza war and the Hamas tunnel threat. The 50-day war led to the deaths of 74 Israelis, some of whom were soldiers killed in surprise attacks from tunnels. It also included 4,251 rockets fired on the home front – paralyzing the South, briefly halting flights at Ben-Gurion Airport and leaving most regions of the country vulnerable at one point or another. Shapira’s leaked conclusions and criticism threaten to topple Prime Minister Benjamin Netanyahu or permanently wound his “Mr. Security” image, making him far more exposed politically when the next election comes along. The report’s conclusions could tarnish the reputations of former defense minister Moshe Ya’alon, former IDF chief of staff Lt.-Gen. Benny Gantz, former Shin Bet (Israel Security Agency) director Yoram Cohen and former National Security Council chief and current Mossad Director Yossi Cohen. They could also serve as a campaign boost for Education Minister Naftali Bennett and Yesh Atid Party leader Yair Lapid. On Monday, Lapid pressed Netanyahu to admit his failings and opposition leader Isaac Herzog slammed both Netanyahu and Lapid for mistakes described in the report. Bennett has also been consistently critical of the prime minister and the focus of Netanyahu’s counterattack. Leaked transcripts of the security cabinet’s meetings during the war show that Bennett repeatedly confronted Ya’alon over the need to provide more information, and Gantz over Bennett’s desire for him to present more aggressive options for using force against Hamas. Some key figures in the report who will likely emerge unscathed are former IDF intelligence chief Maj.-Gen. Aviv Kochavi, who is likely to be hit with heavy criticism, but is already IDF deputy chief of staff in waiting, and former Mossad director Tamir Pardo, who is frequently mentioned without being criticized. The former head of Southern Command, Maj.-Gen.
Sami Tourgeman, is expected to be portrayed as insightful regarding the tunnel threat. Defense Minister Avigdor Liberman and former top Likud minister Gideon Sa’ar are two major political forces who, in the past, blasted Netanyahu regarding his conduct during the war. They have been more subdued recently and Liberman, in particular, appears to be treading carefully after moving from the opposition to leading the Defense Ministry. The report is so significant that most of the figures previously mentioned, as well as a number of others, have been waging a media battle of leaks about the report for nearly nine months. In May, Shapira asked the State Prosecution to investigate who leaked drafts of the report, which was under gag order until Tuesday. The Justice Ministry told The Jerusalem Post that it is still reviewing the leak issue, but when pressed to provide information about the status of its review, refused to provide any details, including whether the issue has become a full criminal investigation or was merely a review. To protect his stature, Netanyahu held an approximately four-hour long session with the Post and other media outlets, of which about 90% was devoted to his narrative regarding issues raised by the report. The three central criticisms made by the report are: The war was avoidable; 50 days was too long; and Netanyahu, Ya’alon and Gantz did not properly prepare the IDF, the security cabinet or the public for the scope of Hamas’s tunnel threat. Besides those issues, leaks have indicated that blame has been placed on Netanyahu and Ya’alon for keeping the security cabinet out of strategy discussions on the country’s long-term plans for Gaza, such that the war itself was not directed at particular long-term goals. Netanyahu, Ya’alon, Gantz, Kochavi, Yoram Cohen and Yossi Cohen are expected to be hit with criticism that they did not share all necessary intelligence with the security cabinet. 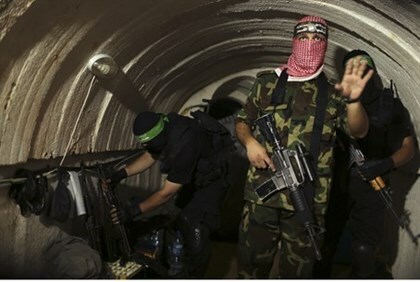 The leaks also indicate that the picture presented to the security cabinet was devoid of the possibility that Hamas might overreact and escalate into a full war on any given incident, if Israel escalated it s military force beyond the usual targets, and of the true extent of the threat posed by the tunnels. Further, the leaks indicate that the Hamas tunnel threat was only discussed by the security cabinet in March 2014, and only in a serious manner when the war was kicking into high gear. Even within the IDF, insufficient resources and attention were allocated to coping with the tunnel threat, leaving IDF forces on the front lines having to come up with ad hoc solutions for destroying them. The unnecessary length of the war, which had terrible consequences for the country, is said to be attributed to miscommunication between the political and military echelons. The report is also expected to slam the security cabinet ministers for failing to show sufficient interest or sufficiently preparing themselves on a range of issues regarding the war……read the whole devastating analysis! A Cabinet crisis has erupted in the course of the campaign against Hamas. Prime Minister Binyamin Tuesday fired deputy defense minister Danny Danon for his broadsides against Netanyahu’s acceptance of a ceasefire. The hawkish Danon accused the prime minister of pandering to left-wing opinion. BUT above all else, the hugely significant and least mentioned “elephant in the room” remains: how can it be that the most powerful and technologically advanced army in the Mid East – unarguably, wielding one of the fiercest operational forces in the world – hasn’t won a decisive victory since the 1967 “Six Day War”, never mind the fight to the death – while taken by TOTAL surprise – during the 1973 “Yom Kippur War”?? WELL, truth dare be told, when the military objective is “containment”, as opposed to victory; when the enemy is left standing, growing stronger after each successive war; when a so-called sovereign nation is begging for permission to protect its citizens, thus, to attain victory; when the left rules with an iron fist, regardless of the makeup of the executive branch, there is little to wonder, other than how the nation has survived up until now. EVEN more so, as a matter of historical record, PM Netanyahu consummated the Oct. 23, 1998 Wye Memorandum which implemented the perfidious Oslo Accords! BUT if one believes “Bibi” learned his lessons, think again. After countless dead and maimed Jews, guess what? As evidenced below, he ensured that a PA (terror) state will eventually arise from Israel’s heartland, Judea and Samaria, aka the West Bank! How so? Well, he “kosherized” it, despite all the so-called caveats. Mind you, once a leader accedes to the “rights” of another to “inherit” ones patrimony, what else is there to say? Rhetorical. More specifically, instead of ceding Tel Aviv – why the hell not – he ceded the Jewish heartland! WOLFF BACHNER: And speaking of responsible world leaders, why isn’t the Prime Minster of Israel bringing up these serious issues with the nations involved in the peace process and especially with Obama and demanding an end to all military threats to Israel before Israel will negotiate again? Is he trying too hard to appease Obama and the various European talking heads, and by doing so, weakening Israel’s position even further in a peace process that is already an anti-Israeli charade? ADINA KUTNICKI: It is this lock-step and debasing march which stopped him (during 9 years as PM, from 1996-1999 and 2009 -2015) from declaring victory over Hamas during the 2014 summer-long war, one which blanketed/blitzed the entire country with missile and rocket barrages. More indicting, instead of laying waste, years ago, to Iran’s mushrooming genocidal WMD program, he is still begging President Obama to lead the charge, knowing full well that he has no such intention. Chasing ghosts. Inherently, he could have taken a page out of (the late) PM Menachem Begin’s playbook, when he defied President Carter and destroyed Iraq’s Osirak reactor. Now, as then, Washington issued threats to “cease and desist”, but one PM ignored said orders, while the other (continuously) caved. Statesmanship, or the lack thereof. In the main, PM Netanyahu is best described as a ‘serial accommodator’, comparable to a badly battered wife who just can’t help herself from going back to her abuser, one last time, for more punishment. Now, others may tsk, tsk and opine: well, the POTUS is the big man in the arena, therefore, what can poor “Bibi” do but genuflect? Hogwash. For the record, PM Menachem Begin didn’t have a problem executing what his mantle required of him; protecting Israel at ALL costs! Similarly, Israel’s first PM, David Ben-Gurion, gave Eisenhower the proverbial finger, when he launched a war in 1956 in concert with Britain and France against an increasingly belligerent Egypt. As always, Washington attempted to stay Israel’s hand. History repeats. In furtherance to the above charge and indictment, whereas PM Ben-Gurion took on the U.S. when Israel was little more than a military pipsqueak, PM Netanyahu behaves as if Israel is a vassal state. This is the case even though he has at his disposal the most adept forces in the region, let alone technologically advanced. Hence, the question is not one of actual force strength, but one of inner and moral fortitude. Hmm. At its base, the moment that PM Netanyahu conceded to a PA (terror) state (during his speech at Bar Ilan University in 2009, two and a half months into his tenure…regardless of how he framed it), the fact of the matter is that he gave Israel’s ‘kosher’ stamp of approval to carve a 23 rd Arab state out of the Jewish heartland. This historical injury lands at his doorstep. Agreed, previous PM’s have been equally appeasing and beyond injurious, but the imprimatur for the above became cemented under his watch. No doubt. INDEED, attesting as an American-Israeli: unforgivable….unfathomable…. unconscionable. ALAS, instead of standing tall and telling the unvarnished truth, that is, there has never been a “Palestinian” people, nor a country “Palestine” (until the godfather of Islamic terrorism, Yasser Arafat, took charge), ipso facto, exactly how can they lay “claim” to the Jewish homeland, other than by terror-laden “ownership”? To claim that Palestinians are the original inhabitants of the Land of Israel not only goes against secular history and scientific knowledge, but it also flies in the face of Islamic religious history. Not only do the Islamic scriptures recognize the unique Jewish claims to the Land of Israel, but there is no reference whatsoever to any Palestinian people dwelling on any land called Filastin during any part of Islamic history until the twentieth century. The term Jund Filastin was used to describe a military district of the Umayyad and Abbasid caliphates and had no ethnic or national significance until the twentieth century. The Qur’an declares that the Jews are the chosen people, exalted among the nations of the world. It clearly declares the Jews (Bani Israil) as the only owners of the Land of Israel, which is al-Ard al-Muqaddasah; al-Ard al-Mubarakah; Ard Bani Israil (the sacred land; the blessed land; the land of the People of Israel), and they are not allowed to leave it, for otherwise they will be punished: “It is the promise of God, and God does not go back on his promise.” The Qur’an goes on to acknowledge that the Jewish first and second kingdoms existed but states that they were punished by God. Arab ownership of Palestine is also critically connected to exegesis on the Qur’anic description of Muhammad’s Night Journey from Mecca to the “furthest mosque,” which is juxtaposed with a verse on the destroyed Temple of the Israelites. The existence of that temple, however, though it had been acknowledged by officials of the Islamic religious endowment authority (waqf ) in their publicity materials from the 1920s and 1950s, was famously denied by Arafat in an exchange with U.S. president Bill Clinton. YES, PM Netanyahu is a serial accommodator, hence, the devastating State Comptroller’s findings are more than well deserved!! THERE but for the grace of G-d Israel still stands, despite its negligent leadership! This entry was posted in Uncategorized and tagged "Palestinian" people, (unfinished) military operations, Can Israel Survive As The Jewish State?, IDF-5th fiercest operational force in the world, Israel's Basic Law(s), Israel's leftist rule, Israel's State Comptroller, Joseph Shapira's (here and now) 2014 war report by Adina Kutnicki. Bookmark the permalink. The only people who hate islam as much the Israeli Jews are the Anglo Americans. We have got to put them back in their borders.